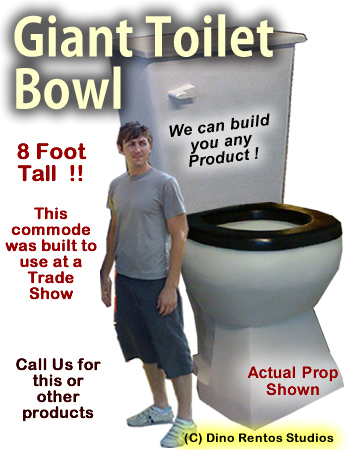 Giant Toilet Bowl/Commode Foam Prop - Dino Rentos Studios, INC. Contact us to make your product prop! For trade shows, events and more! Our foam props make it easy to get set up at your event.